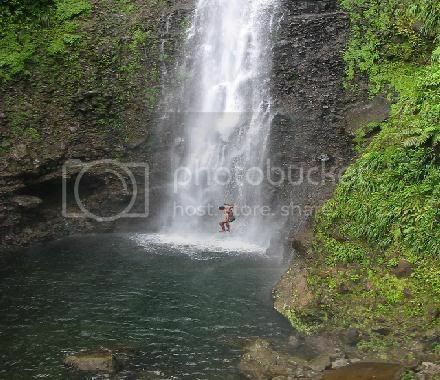 Waterfari is a unique and special activity, it combines two of Dominica's prime sites. There is hiking, rainforest, swimming and opportunities for excellent photography. Through the rainforest of the Morne Piton National Park to get to the waterfall. As it undulates its way through the rainforest. This amazing natural wonder offers an unforgettable experience. The Ti Tou Gorge is somewhat like a small canyon with a waterfall inside. It is fed by a lake located at 3000 feet up in the mountains. We require that you wear life belts to swim up the gorge!! Experience this awesome marvel of nature. Inside the Ti Tou Gorge you will discover an exotic world all of its own making. The Ti Tou Gorge is one place you should not leave Dominica without seeing.